Montezuma | WHY DO WE LOVE CHOCOLATE? The ancient Mayan civilization worshipped a flying serpent, known as Quetzalcoatl. The myth of Quetzalcoatl is the story of a man and a God. Quetzalcoatl is to some of the Mesoamerican culture a member of the pantheon of overlords. He is symbolized in art and literature as the plumed serpent. 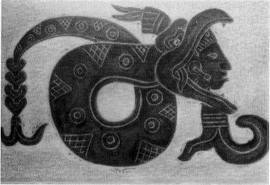 Quetzal is a word which represents a beautiful multi-colored bird while Coatl is a word meaning snake or serpent. The plummed serpent Quetzalcoatl was revered as a God of creation and rejuvenation by many of the Meso American tribes and cultures of Central and South America in the past and even today. 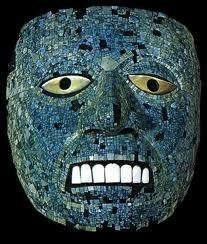 His spiritual presence can be traced back to the Olmecs, Mixtecs, Mayan, Toltecs, and Aztecs. The spiritual energy attributed to Quetzalcoatl finds it’s opposite in the overlord Tezcatlipoca who was well mentioned in the story that relates how the plumed serpent left the land of the Aztecs after having been humiliated by the dark lord through acts of deceit from beyond smoking mirrors. Before the Aztecs came on the scene several other tribes had lived off of the lands in the Valley of Mexico. 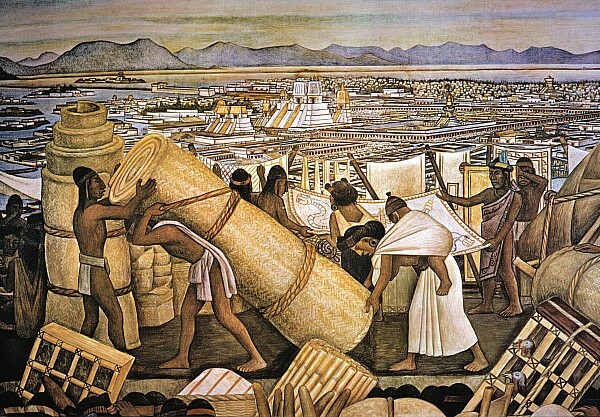 Some of these Meso-americans had built a great city called Teotihuacan but like the cycles of creation described in the myth of Quetzalcoatl the city fell into ruins in the 7th century AD. Next to come along were the Toltecs who rebuilt pyramids over the previous ruins. They were around from the tenth to twelfth century and their city was the city of Tollen or Tula. A Toltec King was revered as the man figure of Quetzalcoatl and it is he who was the victim of the dark spirit of Tezcatlipoca. When the plumed serpent king left the Toltec city he vowed to return one day. By the 14th century AD the Aztecs were the cultural force to be reckoned with in the Valley of Mexico and they had taken on many of the cultural and spiritual beliefs of their predecessors. The prophecy of the return of Quetzalcoatl was amongst those. The Aztecs were also into building monumental architectural pyramids and structures. Their city was called Tenochtitlan which represented their namesake; the Tenochca. The Aztecs were also recognized as the Mexica. They were however not alone in the Valley of Mexico. The rise of the Aztec empire was partly due to the diplomatic savvy and war strategies of their overlord emporer king leaders. Several pacts would have been made during the duration of the Aztec empire. The most famous of which would have been the triple alliance. At the height of the Aztec Empire an overlord king named Montezuma II was in power. Under the rule of Montezuma II several members of the clan of the Aztecs were offered in sacrifice to the sun God Quetzalcoatl. These rituals of pagan religion are the darkside of another wise great culture. The believers in the prophecy ofthe return of Quetzalcoatl would might certainly have been looking for their saving grace to come riding into town. Hernan Cortes, or as he is most often called in history books, Hernando Cortez was an explorer born in 1485 and a spanish conquistador. To the Aztec leader who had been sacrificing the blood of his clans people to the sun god plumed serpent Quetzalcoatl the conquistador was the chosen Messiah. Cortez was sailing to the American continent under the Cuban orders of the discover of Mexico, Diego Velasquez, on an assignment to build a colony at first but plans changed and he was relieved of that duty. He however stayed on the continent and befriended a young native princess who would go on to be his translator. He and his conquistadors fought many battles against the Meso-americans before they arrived in the territory of Montezuma. At the same time they found themselves fighting the very Cubans who had sent them to the continent. Cortez made is way to Tenochtitlan and he was praised instantly as the prophecized Quetzalcoatl by the Aztec overlord. Through a series of events the tribe warriors turned against Cortez and when Montezuma tried to calm his warriors they pulled a coup d’etat on the chief of the clan. Montezume would later die of the wounds received in this battle. The story goes on to say that through a series of battles between Cortez and the new rulers of Tenochtitlan the spaniard Cortez brought about the end of the Aztec empire. 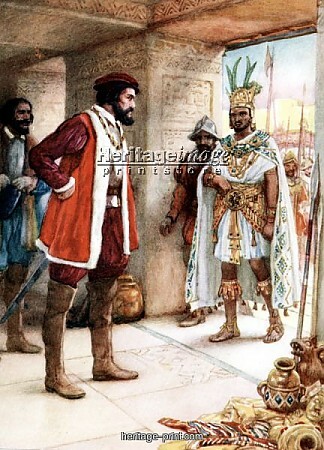 The end came when the new Aztec emperor king Guatemoc surrendered to Cortez in 1521.